I found this little image above and just died laughing. I might be aging myself or most of your might not even remember but one summer (again I can't remember which) we had a saying through the girls side of K2 called the "awkward turtle." 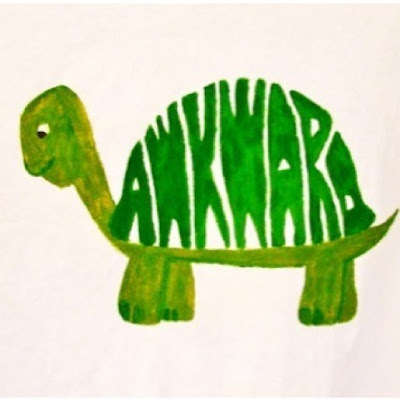 It basically was for when we are all awkward at some point in our lives...some more than others and then there is me who stays in an awkward state. Anyways, rock on all you awkward moment rockers! Embrace them my turtle friends!